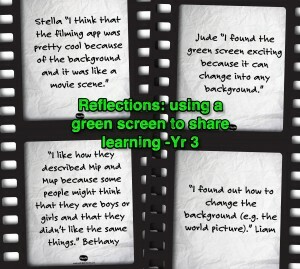 A group of Year 3 students have been experimenting with the green screen as a means to share their learning this term. These students have been considering ways to evaluate, reflect and report on reading. 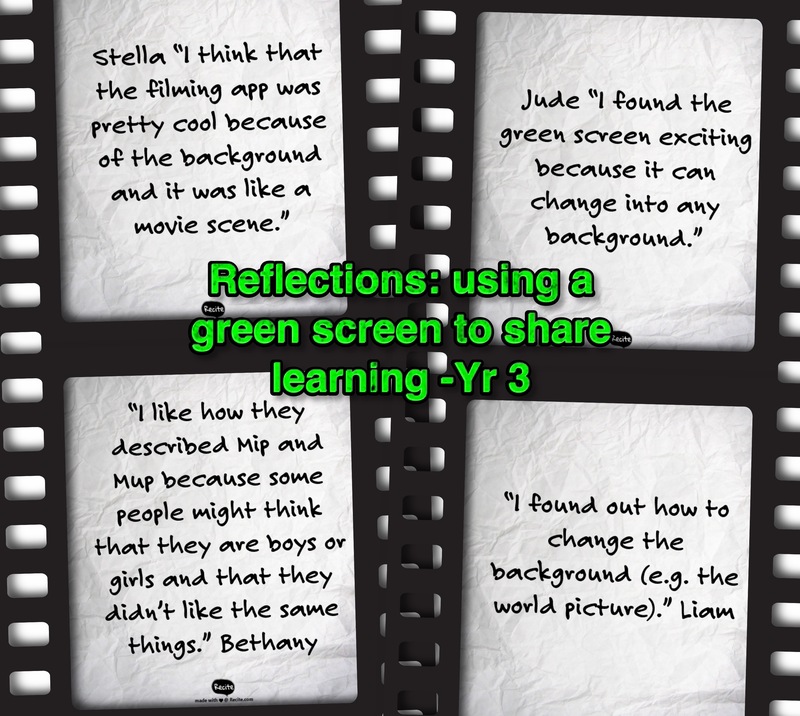 These green screen movie reflections were created using a variety of apps on the iPad (using the video, camera, drawing and green screen apps). See below for two reviews they have created. When the students create their next review (in Term Two) they will direct this (almost) independently, with the aim to become experts for the other students in the class, teaching how to use the green screen and its associated apps. These reviews are not polished presentations but have been created in a short time frame as a tool to engage and enhance the learning experience. Today the students were introduced to the concept of a book hook to ‘sell’ the book to another reader. See “How to write a book hook” wiki how with pictures. The students shared why someone should ‘read’ this map. As the students become more confident and self reflective, the presentations will become more diverse and ‘professional’. Finally, students are presenting for an authentic audience. This entry was posted in collaborate, ICT, ICT Mentors, iDevices, Innovation & Teaching, Library, Literacy, Year 3 and tagged apps, greenscreen, Literacy 2015, reading reviews. Bookmark the permalink.